Hi there! I’m Lila and I started beLASHED.org with the sole intention of providing a go-to resource for everyone interested in the topic of how to get longer eyelashes. So why am I so interested in long eyelashes? Well, my obsession with lashes began rather serendipitously when I was handed a promotional advert for eyelash extensions. I had rather average lashes and a few favorite tubs of mascara to plump them up so I’d never considered getting eyelash extensions, but I was set to go on a beach vacation in a week and the allure of not having to bother with waterproof mascara throughout my trip was appealing, to say the least. So I splurged. The eyelash extensions took a little over an hour to do and reeked of super glue – something I wasn’t too pleased with. But when it was all done, I opened my slightly heavier eyelids and found myself staring at a foxier version of me. It was strange since nothing drastic had changed about my face or features. Yet, I was noticeably prettier. And the only thing that had changed was my eyelashes. I watched myself slowly blink in the mirror, relishing the feeling of my new, thick lashes brushing against the top of my cheek. I checked out my new, improved profile from both sides, turning my head side-to-side and observing just how long and thick my lashes were. The whole time I was on vacation, I noticed my lashes every time I looked in the mirror. And they were such a delight to have. I had absolutely no need of eye makeup the entire trip – my mascara and charcoal liner went unused – and I still looked beautiful. And oh, so very feminine. But the best thing about my new and improved lashes was…how I looked in pictures. It was only after the vacation, when I was flipping through the pictures my boyfriend had taken of me and I came across several shots of me concentrating on my food with my eyelids slightly lowered. My eyelashes were the first thing I noticed. They were positively beautiful – this thick fringe of lush lash lining my eyes and giving my face a more sophisticated, sensual expression. 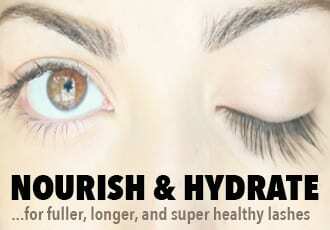 That’s when I realized just how important eyelashes are – they are one of the KEY beauty features on your face. They seem like such a little thing, yet they make a massive difference in the way you look. 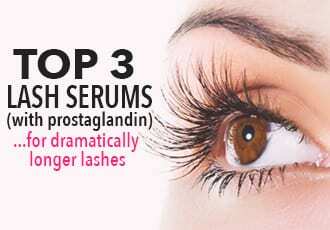 They instantly feminize your face, add a touch of sophistication, and make your eyes “pop” like nothing else can. Needless to say, I loved my eyelash extensions…but they only lasted 3 weeks. And when they started to come off, I realized they were taking my real eyelashes along with them! At the end of 3 weeks, my new and improved beautiful lashes had all come off and I was left with only around 60% of the eyelashes I’d had before I got my extensions. Yes, I was mortified. I mean, it felt great to have beautiful lashes for a few weeks but I had to live permanently with my real lashes and now they were woefully inadequate. And thus began my journey into eyelash growth. Since then, I’ve been obsessed with exploring and researching various methods of getting longer lashes. After my run-in with eyelash extensions, I was reluctant to go that route again and concentrated my efforts (and funds) in learning how to get longer eyelashes naturally and permanently. Needless to say, that lead me to try out various eyelash growth products and more eyelash enhancers than you can imagine. This website is a compilation of my experiences with eyelash growth. 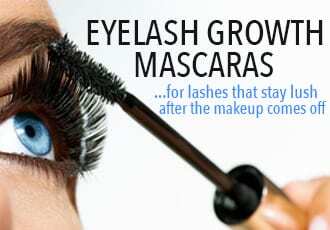 I’ll be laying out exactly how to get longer eyelashes, what methods are the best for eyelash growth, reviewing the best eyelash growth products, and delving into any other questions you might have about growing thicker, longer eyelashes. If you have any questions or comments about this website (or eyelashes), feel free to reach out and contact me! I hope you find beLASHED super helpful in your own journey to longer, thicker eyebrows and as always – happy growing!